iPad and Wi-Fi sitting in a tree…. About two years ago, Dominic Orr, the chief executive officer of Aruba Networks (a ARUN) told us that the iPad (and iPhone) was going to act like an accelerant for Wi-Fi in corporations. Two years later, his prediction is coming true. 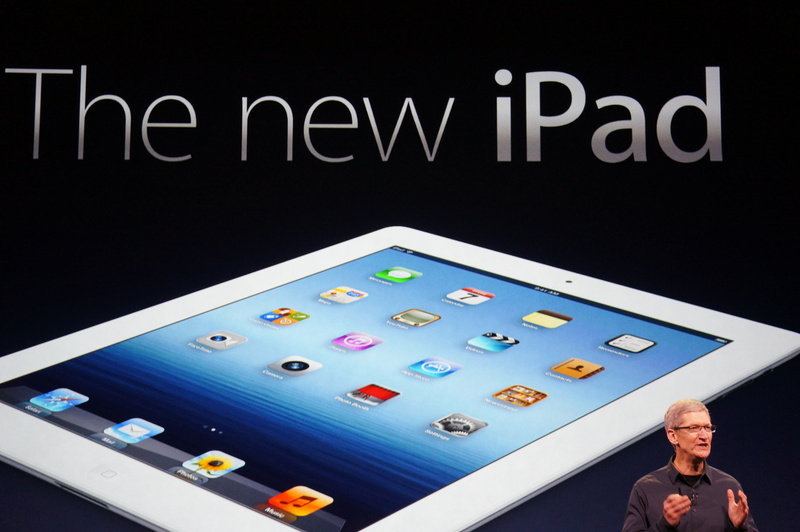 Apple (s AAPL) yesterday reported that it sold 11.8 million iPads in the first three months of 2012, up 151 percent from the first three months of 2011. The iPhone saw year-over-year sales jump to 35.1 million. We believe these results are a primary driver of the strong growth in the enterprise wireless networking market with wireless devices proliferating (iPads, iPhones, tablets, etc.). Note Apple iPads/iPhones do not have wired Ethernet ports and primarily rely on Wi-Fi or cell networks for connectivity. BYOD trends are likely to remain strong with enterprise wireless LAN in demand as a key means of robust connectivity. Our checks continue to suggest enterprise Wi-Fi is a key area of investment for 2012. Indeed, while that is the case, laterals exposed to other areas of networking do not inspire confidence for an Apr-Q beat-RVBD, PLCM, EXTR, and MERU all missed, with FFIV experiencing weaker than expected enterprise demand. Remember the time they used to say Apple didn’t have a chance in the enterprise market. Well all that is history. Now mind you we aren’t that surprised about it all and have written about it countless times. We love our Wi-Fi. We love our iPad and together they make things so much easier and better! Except that my iPad constantly drops WiFi connections. Looking though various forums this seems to be a fairly common issue with protected networks.